exPress-o: Fall on the rusty side. P.S: To oversize or not to oversize? I'm partial to all shades of brown. Perfect color for fall! We're headed to summer over here, so I'm liking all coral variations. Love it! 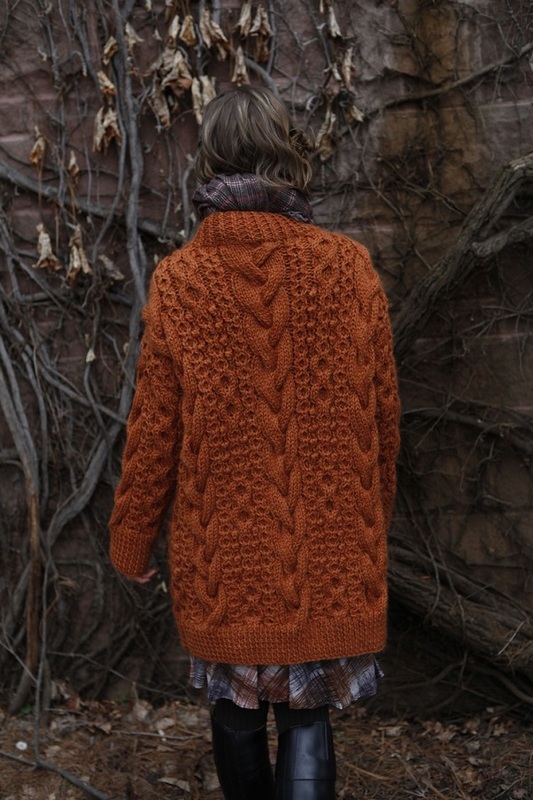 My living room is a burnt orange (like that chunky cable knit sweater), but I've never worn it. I'm falling in love with this colour! It's beautiful. Jill, your living room sounds amazing! And love rusty+blue combination, they are my favourite shades this autumn. I've just bought yesterday my first rusty chuncky sweater, 50% alpaca, 50% silk, made in italy (round the corner from my work, really, just found a factory who also sells directly).